The responsiveness of older individuals’ skeletal muscle to anabolic strategies may be impaired. However, direct comparisons within the same experimental setting are sparse. The aim of this study was to assess the resting and post-resistance exercise muscle protein synthesis rates in response to two types of milk protein and carbohydrate using a unilateral exercise leg model. Twenty-seven older (69 ± 1 year, mean ± SE) men were randomly assigned one of three groups: Whey hydrolysate (WH), caseinate (CAS), or carbohydrate (CHO). By applying stable isotope tracer techniques (L-[15N]phenylalanine), the fasted-rested (basal) myofibrillar fractional synthesis rate (FSR) was measured. Hereafter, FSR was measured in the postprandial phase (0.45 g nutrient/kg LBM) in both legs, one rested (fed-rest) and one exercised (10 × 8 reps at 70% 1RM; fed-exercise). In addition, the activity of p70S6K and venous plasma insulin, phenylalanine, and leucine concentrations were measured. Insulin, phenylalanine, and leucine concentrations differed markedly after intake of the different study drinks. The basal FSR in WH, CAS, and CHO were 0.027 ± 0.003, 0.030 ± 0.003, and 0.030 ± 0.004%/h, the fed-rested FSR were 0.043 ± 0.004, 0.045 ± 0.003, and 0.035 ± 0.004%/h, and the fed-exercised FSR were 0.041 ± 0.004, 0.043 ± 0.004, and 0.034 ± 0.004%/h, respectively. No significant differences were observed at any state between the groups. Fed-rested- and fed-exercised FSR were higher than basal (P < 0.001). 3 h after exercise and feeding, no significant group differences were detected in the activity of p70S6K. 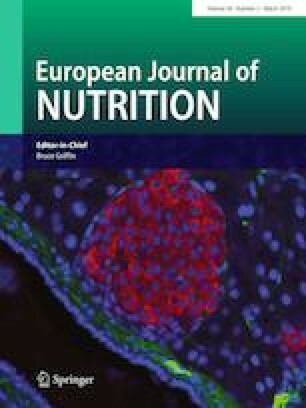 Milk protein and carbohydrate supplementation stimulate myofibrillar protein synthesis in older men, with no further effect of heavy resistance exercise within 0–3 h post exercise. The online version of this article ( https://doi.org/10.1007/s00394-018-1641-1) contains supplementary material, which is available to authorized users. We thank our voluntary participants for their time and effort, and Ann-Marie Sedstrøm and Ann-Christina Reimann for technical assistance and analyses. Arla Foods Ingredients P/S supported this work. SR, KD, JA, NMM-C, RLB conducted the experimental work; SR, KD, JA, RKP, and LH analysed and interpreted data; SR, KD, AS, URM, and LH designed study; SR drafted the manuscript; all authors edited and revised the manuscript. All authors approved the final content and this version of the manuscript. The authors declare no conflicts of interest, financial or otherwise. Anja Serena is employed at Arla Foods amba, and Ulla R. Mikkelsen is employed at Arla Foods Ingredients P/S.